Online forum Reddit has shut down a slew of ‘dark net’ subreddits in an effort to crack down on the illegal trading of drugs, ammunition and stolen goods, with a popular craft beer forum used by enthusiasts to trade beer also banned in the process. Reddit is a social network where users can talk about controversial topics, memes, and online protests within categorised subreddits, but has simultaneously become a platform from which to purchase or win goods from other members and communities, opening a loop hole in the system that has enabled it to become a middleman for obtaining prohibited items. As part of its crackdown on illegal activity on the site, the company announced rule changes this week on its r/announcements page to prohibit the exchange of items including firearms and ammunitions, stolen goods, sexual services and falsified documents. Among the forums banned were r/darknetmarkets, a controversial forum for discussing dark net vendors that sell drugs, stolen data, and counterfeit goods, among other illegal items. 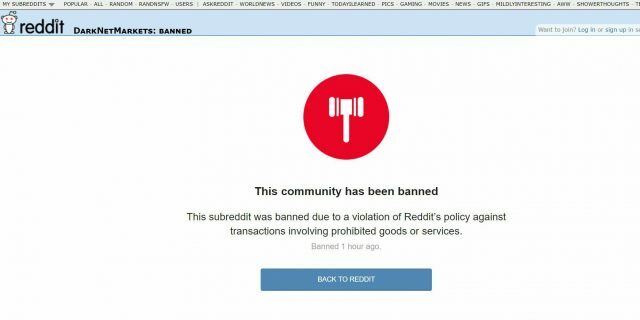 However more surprising was the banning of the forum’s popular r/beertrade subreddit – an active platform used by craft beer enthusiasts to talk beer and trade their favourite brews. At the time of its closure, the forum had 20,000 subscribers. A similar forum called r/scotchswap – where users traded in Scotch whisky – was also banned by the forum. Other forums taken down by Reddit include r/cigarmarket, r/shoplifting, r/gunsforsale, r/airsoftmarket, r/shoplifting, and r/stealing. While unrelated to the trading of alcohol specifically, last month Burgundy wine was caught in the crossfire of a crackdown on searches for weapons on Google. Tightening up its search terms, users searching for Burgundy were temporarily prevented for using Google’s shopping service, because it contained the word ‘gun’.